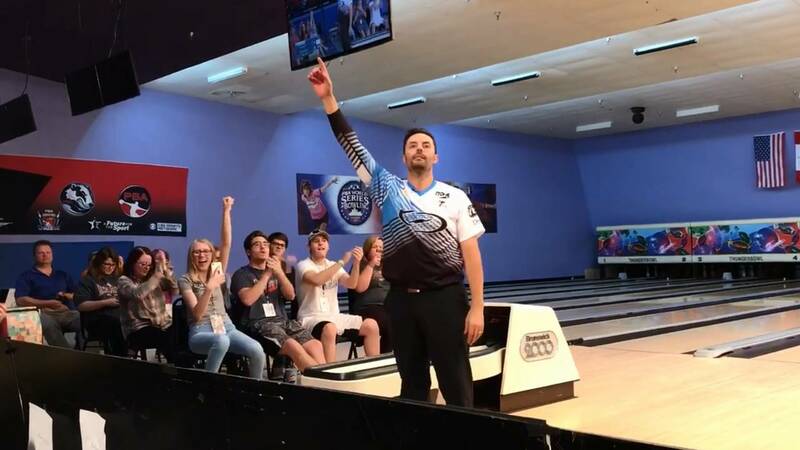 ALLEN PARK, Mich. - May 5 is now much more than just Cinco de Mayo to the Professional Bowling Association's Jason Belmonte (known as "Belmo" to his army of fans). It will also forever be the day that he won his eighteenth career PBA title, and it was a biggie. 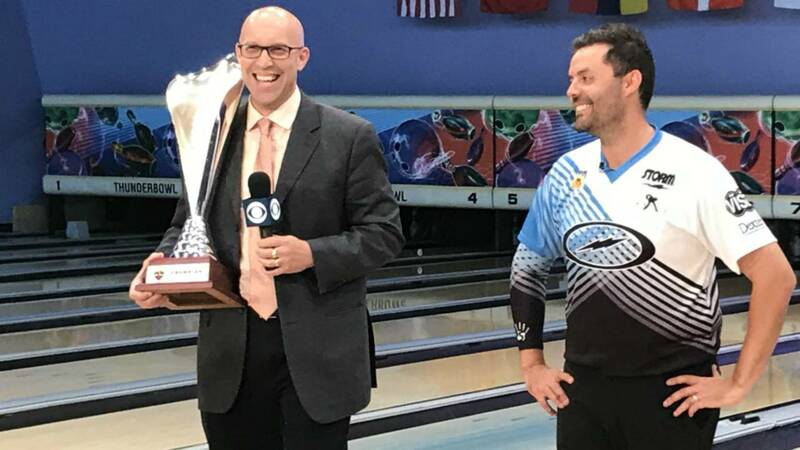 The PBA Tour Finals is like professional bowling's All Star Game: Only the top eight money winning bowlers over the past two years get invited to this special tournament. 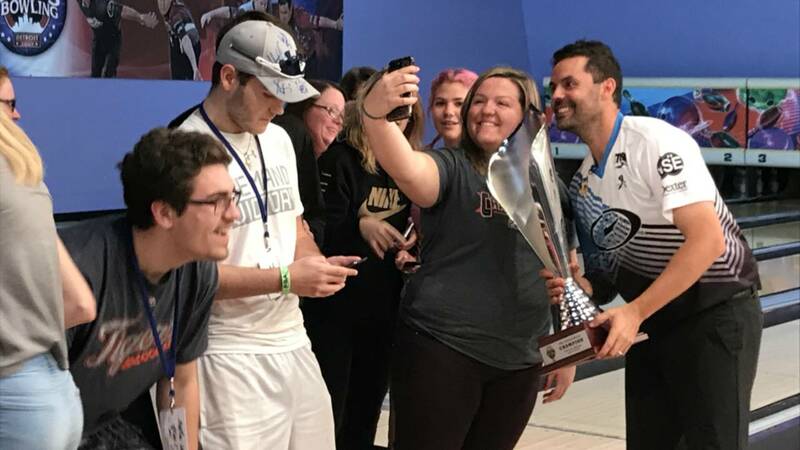 They were split into two groups, and each group bowled four games Friday on four different lane oil conditions, with cumulative pinfall deciding the order of each group's step-ladder semifinals on Sunday, with each group's winner squaring off for the overall championship. Group 1 started off with Sean Rash beating England's Dom Barrett, 279 to 169. Only a single pin left on Rash's first ball in the 5th frame prevented him from rolling a perfect 300 game. Rash then squared off against Anthony Simonsen, who pulled away with strikes in the 4th through 9th frames for a 247 to 218 victory. Simonsen then met Belmonte in a two-game match to win the first semifinal, with Belmonte winning a very exciting and close first game, 265 to 259, and then the second game 239 to 216. In that second game, Belmonte hit a rough stretch in the middle of the game, with two spares and an open frame, but he made the right adjustments to come back and win the game. Most people do not appreciate the thought process these bowlers go through trying to adjust to the changing oil. 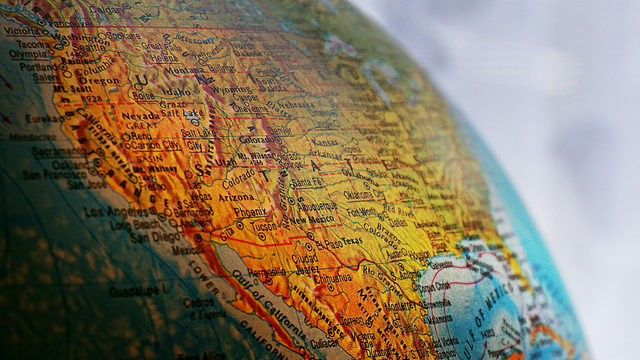 And remember that there's no halftime or intermission, as there is in basketball and hockey...they have to figure this stuff out as it happens. Group 2 began with Marshall Kent defeating Tommy Jones 246 to 236. Kent then took on Sweden's Jesper Svensson, with Svensson throwing perfect shot after perfect shot for a 279 to 233 victory. Svensson then competed with EJ Tackett in the two-game match for the second semifinal berth. Tackett won the first game 235 to 206...the difference being five strikes in a row by Tackett in the 3rd through 7th frames. He then went on to beat Svensson in the second game 245 to 203, as Svensson couldn't get the ball to react how he wanted to on the changing oil conditions, and didn't throw his first strike until the 8th frame. So that set the stage for the championship two-game match between Belmonte and Tackett, who entered the tournament as the overall number one and two seeds. I guess it was only fitting that the top two ranked bowlers of the eight that competed met in the finals. Tackett opened the first game with a split that he could not convert, while Belmonte started with three strikes. So Tackett was down 20+ pins right from the start, and never could make up the difference, with Belmonte winning 239 to 205. Things looked a little grim for Tackett, since Belmonte ended that first game on a roll with four strikes. But, as I mentioned above, succeeding in bowling involves making adjustments on the fly as the oil changes, and the two bowlers' fortunes reversed in game two. Tackett had the hot start out of the gate with four strikes, while Belmonte split in two of the first four frames. This time he couldn't make up the difference, and when it became apparent that he wasn't going to win this game, as you'll hear in my postgame interview with him below, he started experimenting to prepare for the inevitable tie-breaker after Tackett won this game (219 to 170). 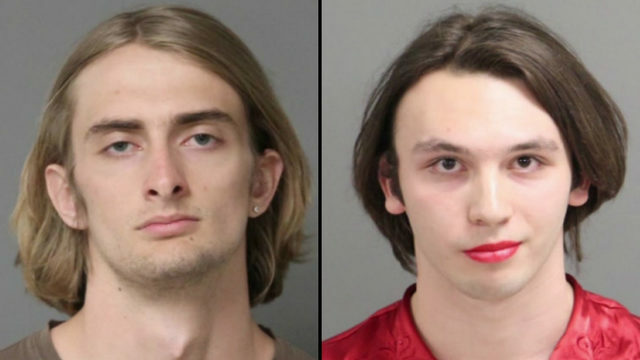 So what happened next? Since Belmonte and Tackett tied at one game apiece, each bowler would bowl a 9th and 10th frame to break the tie. Tackett bowled first, and left a 10-pin on his first ball, which he converted for a spare. Belmonte then bowled next, and he started with a strike, then also left a 10-in on his next ball, which he converted for a spare. Since this was the 10th frame, he bowled another ball, and got a strike, giving him a total of 40 for the two frames. So, the scenario for Tackett was: bowl two strikes for the win. 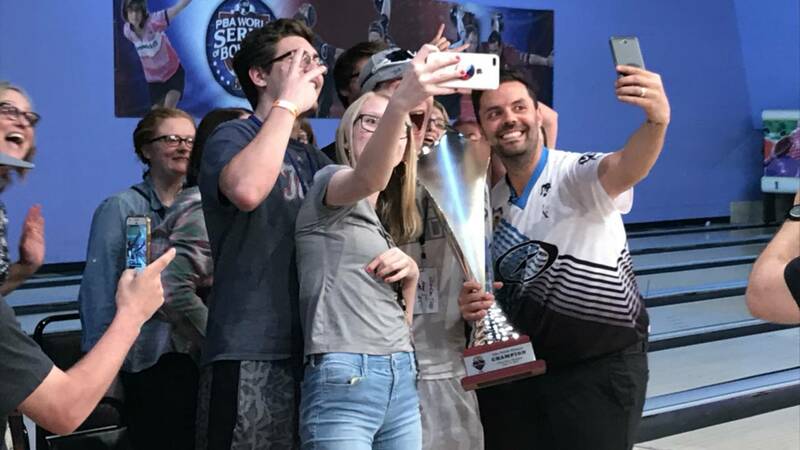 Immediately after winning, Belmonte grabbed the trophy and ran over to some fans and let them take selfies with him. Find me a professional athlete in any other sport who would do THAT after winning a championship. That's how much professional bowlers cherish their fan support. And by the way, after he was done with his interviews (including mine), Belmonte took photos with and signed autographs for every single fan who wanted one, and trust me...the line was long. 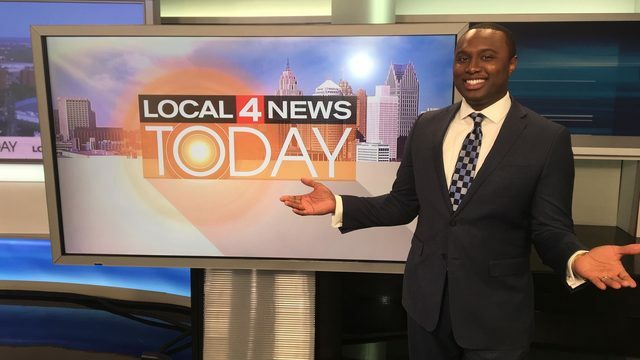 The World Series of Bowling will be ten days of competition...FIVE different PBA tournaments will all happen here at Thunderbowl, which means that Detroit will be in the national sports spotlight five weeks in a row in these national telecasts (four tape delayed, and one live). What a great event for our great city! It's been a great two days at Thunderbowl Lanes, with so many memories. Of all the tournaments I've been to, probably the most enjoyable time I've ever had was sitting in the front row Saturday with Thunderbowl owner Tom Strobl and marketing manager Mike Callaway, watching these athletes in joint amazement. 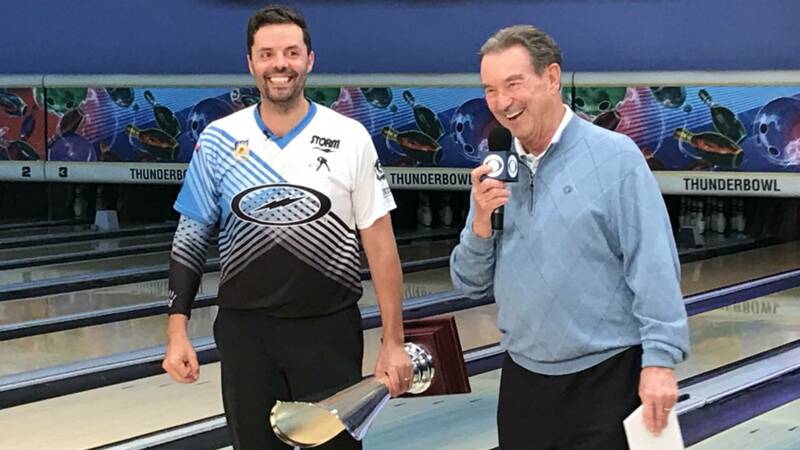 Tom is one of the most revered bowling proprietors on the tour for the way he treats the players and PBA staff, and we bowling fans are so proud and thankful for all he does to bring the tour to the world's official Bowling Capital!